The deal allows Finnplay access to 60+ slots and video bingo titles which include Eastern Goddesses, Ryan O’Bryan, Super 10 Stars and their latest games, the video slots The Asp of Cleopatra and Jack O’Lantern Vs The Headless Horseman. 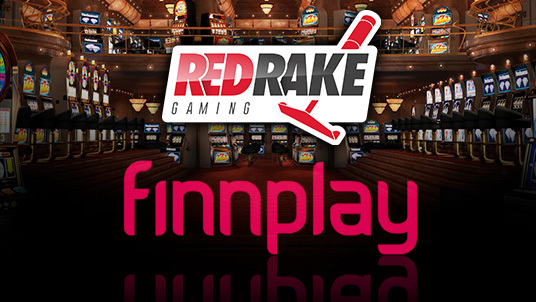 Daniel Eriksson at Finnplay commented: “Red Rake Gaming has been developing high-quality casino games for a considerable time, of which they have established an excellent reputation for innovating and delivering engaging games. We are therefore delighted that their games portfolio will be accessible for our international white-label solution customers”. Carlos Fernández Aguilar, Head of Business Development Red Rake Gaming, said: “Our company’s vision is to have strategic partnerships with all leading platforms that can represent our great games professionally and proactively. Finnplay has a proven international reputation and distribution network of licensees and we look forward to having our games available to a growing player database that will enjoy our engaging games”.